Measure carefully, placing all bread ingredients in bread machine pan in the order recommended by the manufacturer. Select Basic/White cycle. Use Medium or Light crust color. Remove baked bread from pan; cool on cooling rack. In small bowl, mix cream cheese and milk until blended. Stir in Swiss cheese and chives. Serve spread with bread. Store spread in refrigerator. 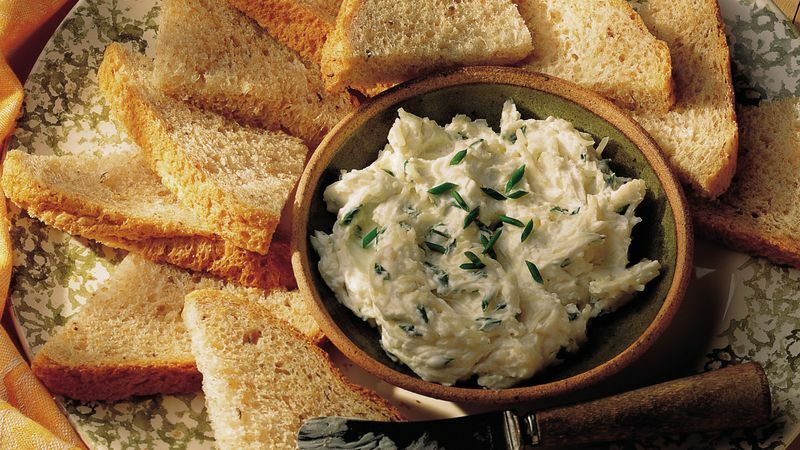 To make this bread "picture perfect," try the delicious, tangy cheese spread. The recipe makes about 2/3 cup spread, so cover and refrigerate leftovers--if there are any! Make the flavors sparkle by using orange juice instead of water and stirring in 1 teaspoon grated orange peel with the sugar. If your bread machine has a 2-pound vertical pan, the loaf will be short but still will have good texture and flavor. If your bread machine has a horizontal pan, however, there isn't enough dough to make a good loaf of baked bread. If you assemble your ingredients on your kitchen counter in the order they’ll be added to the bread pan, you’ll be able to throw together a foolproof loaf in no time!